« Yankees: Be Happy Lee in Philly ! When I was a kid in the early 60’s growing up in the rural Westfield section of Middletown, CT, there was an old schoolhouse with three classrooms and a library. Built in the 1920’s, the schoolhouse was a charming throwback to days when the surrounding farm kids walked to school, just as we did. The neighborhood was agricultural, but there were Capes and Ranches built upon some of the sprawling former pastures. As you might expect, there were still farms in the neighborhood. The barbed wire cow pasture of the Bysiewicz Farm formed the boundary of left & left center fields in the school’s ball yard. Susan Bysiewicz, secretary of the State of Connecticut, is of that same family. Funny how farms produce good values, strong performers, and leaders. Battling wind, rain, droughts, blizzards and insects is a hard testing ground, and seems to produce sound core beliefs about hard work and responsibility. There was a small Sports book section in that school library. My favorite books were about Carl Hubbell and Babe Ruth. The Almanac there cited the all time record for K’s in a season by a right handed pitcher as owned by a man named Bob Feller. Robert William Andrew Feller. Like the farm family that produced CT’s Secretary of State, the Feller Family was of course a farm family, growing wheat, corn and soy beans and raising livestock in Van Meter, Iowa — since 1886. Feller rode horses, drove a tractor and stood behind a plow. 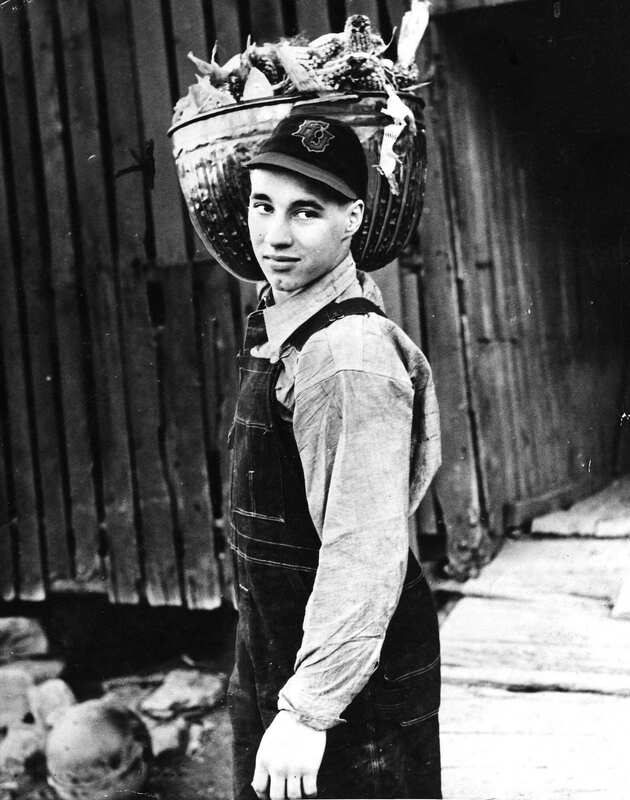 When asked about how hard it was to complete 36 games in 1946 he said it didn’t compare to the hard work on the farm. I had the opportunity to chat with Feller in 1999 at a gathering of the World Series Club of Hartford County, which will host Jim Lonborg and Mark DeJohn next month, by the way. Feller was gracious, rugged, articulate, direct, opinionated and funny. He signed my copy of STRIKEOUT STORY, his 1948 book, and demurred over the photo of his Mom in it, quietly connecting to his past. His formal speech to the Club was the best of the dozens I have attended because he was, to me, the biggest all-time star to ever present himself to that group, and frankly, I couldn’t believe a guy who was 82 at the time seemed to still be at the height of his intellectual capacity. He was clear as a bell and strong as a steer. In July of 2009, Little Lee and I sat on the field at Cooperstown, witnesses to the workmanlike remarks of Jim Rice and the oddly coherent words of Rickey Henderson. Bob Feller was present on the dais. He always made it to Induction Day. But to his unending credit, he said that the day that a steroid user like Mark McGwire or Barry Bonds became a HOF’er would be the day he would stop gracing Cooperstown with his presence. His character was just one more thing to like about Feller. Patriot. Hard worker. A man who honored his country, his obligations, his family and Baseball. They don’t grow them like Feller anymore. This entry was posted on December 17, 2010 at 5:33 pm	and is filed under BASEBALL. You can follow any responses to this entry through the RSS 2.0 feed. You can leave a response, or trackback from your own site.